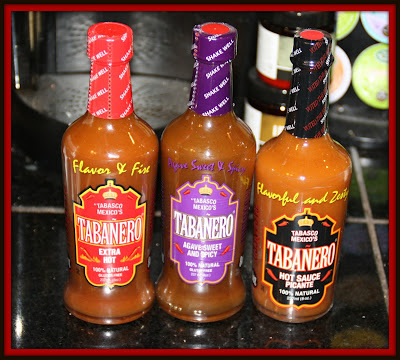 mommy's reviews: Enjoy a Spicier Summer...with Tabañero! Tabañero released to the market in early 2011 and described as a passion project by co-founder Kevin Peake, who explains how he and his team sold Tabañero out of the back of their cars for the first year. Tabañero Hot Sauce is firmly rooted in its humble beginnings and is committed to giving back a portion of its proceeds to the Tabasco region of Mexico where their journey began. Tabañero is a very unique hot sauce made from all-natural ingredients from Tabasco, Mexico, situated on the exotic Yucatán Peninsula. Taking a clue from the Mayans (who occupied the Yucatán Peninsula thousands of years ago and were one of the first civilizations to use peppers to flavor their native cuisine) the Tabañero Hot Sauce team, in 2007, began to utilize the fertile crops of the area to design the first recipe of the future award-winning hot sauce. Today Tabañero Hot Sauce is available online and is distributed in six states by both Sysco and US FOODS and can be found in restaurants, specialty stores and now H-E-B Grocery stores, over 30 Pepper Palace locations and most recently in Sprouts Stores across the country. I am always interested to learn about how companies got their roots and I love the story about how this hot sauce was sold out of the back of cars for the first year...how cool!! That is entrepreneurship at it's finest! 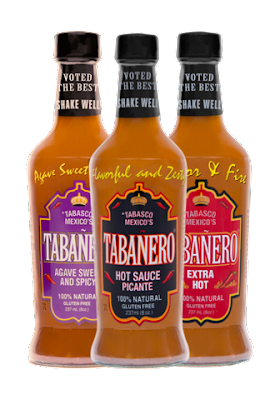 So, for this review I was delighted to receive three bottles of Tabañero Sauce, including the newest two flavors! 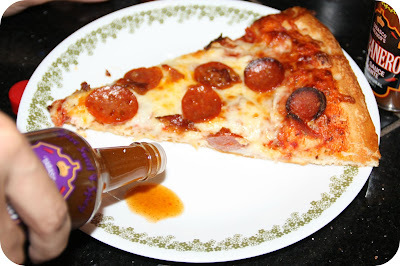 Not only was this sauce super good on pizza, it was also amazing when we had tacos! Anytime we have had company over for dinner, my husband gets this sauce out and passes it around for our guests to try. So far, everyone who has tried it, loves it. Each bottle contains one identical ingredient...Habanero peppers and that is what truly makes this sauce delectable. I love how this sauce is all natural too. We try to eat healthy when we can and having all natural products on hand is especially helpful for us and makes it easy to eat right. You can find Tabañero near you by checking out their store locator, found on their website. Around here, we will be able to purchase their sauces from a Pepper Palace location in a local mall. The only thing that I didn't like about this product was the price. One single bottle retails for $9.99, which seems steep to me. However, if you purchase more at a time, the price goes down so that is probably what we will do. I definitely want to have more of this around for my hubby...he absolutely LOVES it. :) I also wanted to mention that you can find Tabañero on Facebook and also on Twitter so be sure you stop by there and say hello. 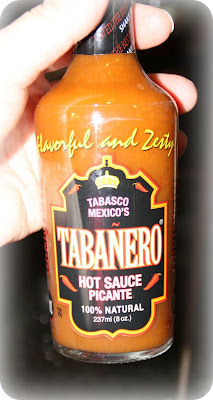 So, check out all that Tabañero has to offer and get ready to treat your taste buds...the hot way. Disclaimer: I received no monetary compensation for this post. I did receive free product for review purposes. All quotes and stock photos are from the Tabañero website and email.All thoughts and opinions are 100% mine.